"Experts at everything and nothing"
Nothings says “Old Florida Charm” like that of downtown area of the city of Winderemere. And on a nice late afternoon, nothing sounds better than going out downtown and enjoying the atmosphere that the city offers. Of course, this day was a little better as we were taking part of Winderemere’s 3rd Annual Craft Beer Fest. Now while there were several beers available to sample (and we sampled…..a lot), there were a few that stood out. Whether it was the conversation with the reps and stories that were swapped or the simply amazing flavor of the beer sampled, these mentioned stood out beyond the rest and we figured why not single them out. 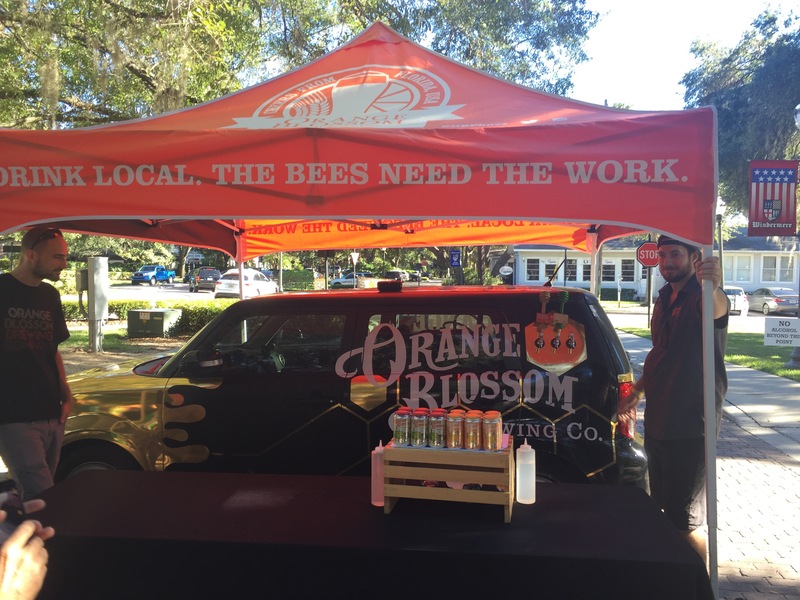 Our first official stop at the Beer Fest was with our friends at Orange Blossom Brewing Co. . Originally named OPB in 2007, the brand has grown and in 2014 transitioned to their new name, Orange Blossom Brewing Co. in 2014. They have a bevy of great beers and sampling that day was the always great Orange Blossom Pilsner and their Back in the Day IPA. They say that most people have a “tequila story”, where the liquor caused havoc and left a tale to tell at a latter date at the expense of yourself for others amusement. Well, RJ has what is known as an “OPB Squared story” and it turns out that many people share that same tale as well. OPB Squared is the stronger bother of the Orange Blossom Pilsner, touting an 11% ABV. The dangerous part is that is extremely smooth and easy to drink, which can lead to a lot of rough mornings (which usually follow great evenings). Currently a Microbrewery in the making, the gents at Toll Road Brewing Co. are expecting to be fully operational in 2017. We are fans of quality branding and this is a great name. Playing off the Mel Brooks classic “Blazing Saddles”, Toll Road Brewing Co. pays tribute with their logo (If you don’t remember the scene, check it out here). Besides the great name, they make some quality brews as well. 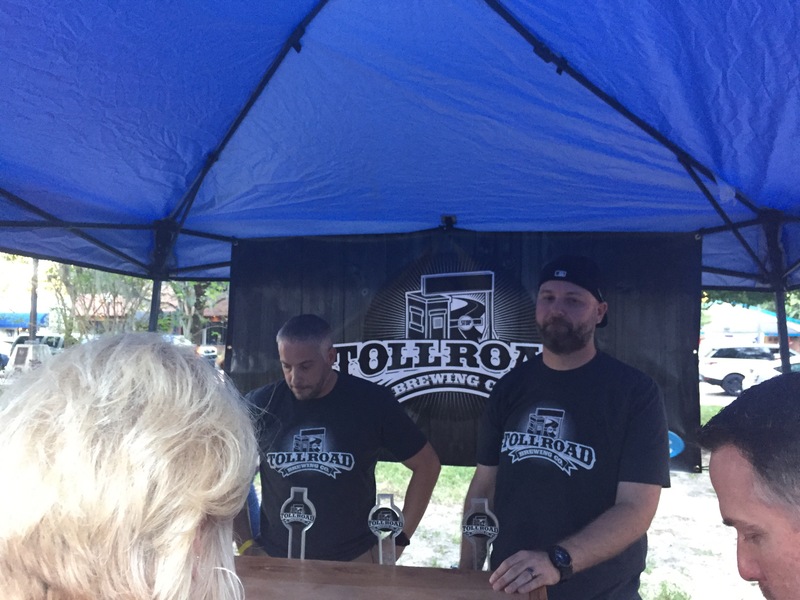 From “The Sheriff”, a robust Porter to “Sun Ryes”, a rye IPA the team at Toll Road have a few fans here who cannot wait to see what they can do with their own location. 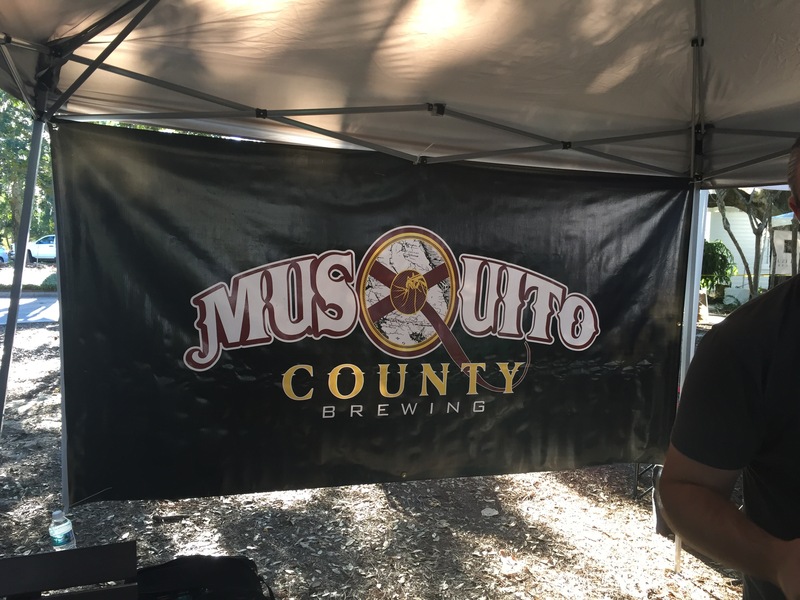 First off, we could not get enough of Musquito County Brewing. They had a bevy of beers on tap to sample and each one was better than the next. We happened to run in to the host of At The Bar Podcast, Mike, who happened to also be manning the taps at their stop of the festival. While they are in their R&D phase, we are looking forward to these guys being a local craft beer spot in the future. Musquito County Brewing ran the gambit when it came to different styles and flavors available. From there Apple Cider with Holiday spices to their Russian Imperial Stout, the flavors ran the gambit. Particularly popular with Jason was Holiday Milk, a Porter with spices and hazelnut. RJ favored the Russian Imperial Stout which he aptly named “I Don’t Know How I Am Getting Home” (a little mouthy but at 13% ABV you can understand). But the best one goes to Mike as he named the Apple Cider “I Don’t Usually Do This”, a reference to drunken shenanigans that can occur in which a person typically would not engage in sober. While sampling we happened to stumble on the man of the town, Mayor Gary Bruhn. We asked him his thoughts on the event and overall he seemed pleased with the turnout. Seeing as this was their third time hosting the event in the city, he was optimistic that this event was something that could last for years to come. And nothing says Backpack Social like the obligatory photo with the town mayor. But alas, the clock struck 8pm on the nose and the party ended. The vendors backed their beverages away and sailed off in to the dark of night. The patrons who had came in hordes to sample wandered off throughout the city. The trio from Backpack Social found themselves continuing the evening with a sampling of cuisine made for kings and queens, the delicious burgers and fries from BurgerFi. We can only hope their will be a 4th Annual Craft Beer Fest in Winderemere and that they raise the bar even higher. 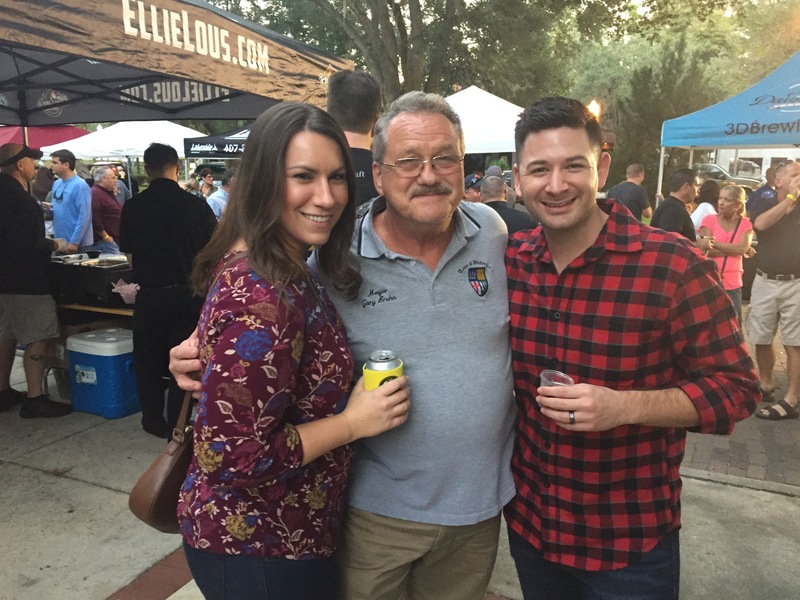 Did you attend the Windermere 3rd Annual Craft Beer Fest? If so tell us what you thought. Leave a comment below. I Went to the Olympics!!! USA! USA! USA!